At Glasstec 2018, LandGlass is going to present you with the full range of flat & bent glass tempering solutions, and its fully tempered vacuum insulated glass - LandVac and Window & Door system. We are looking forward to seeing you there. LandGlass , with a full range of flat & bent glass tempering solutions, fully tempered vacuum insulated glass - LandVac, participated in the 16th GlassBuild America held from September 12-14, 2018. LandGlass passed the 2015 National Intellectual Property Advanced Enterprise Review and been awarded the "2018 National Intellectual Property Model Enterprise" honorary title. A total of 6 companies in Henan Province had been granted this honor. CGE 2018, a professional exposition for the glass industry organized by Guangdong Glass Association, was held at Canton Fair Complex from August 27 to 29, 2018. 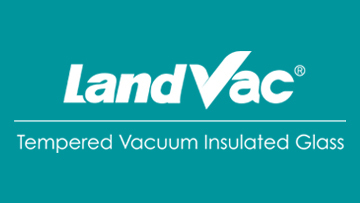 LandGlass made an inaugural debut for its fully tempered vacuum insulated glass – LandVac.